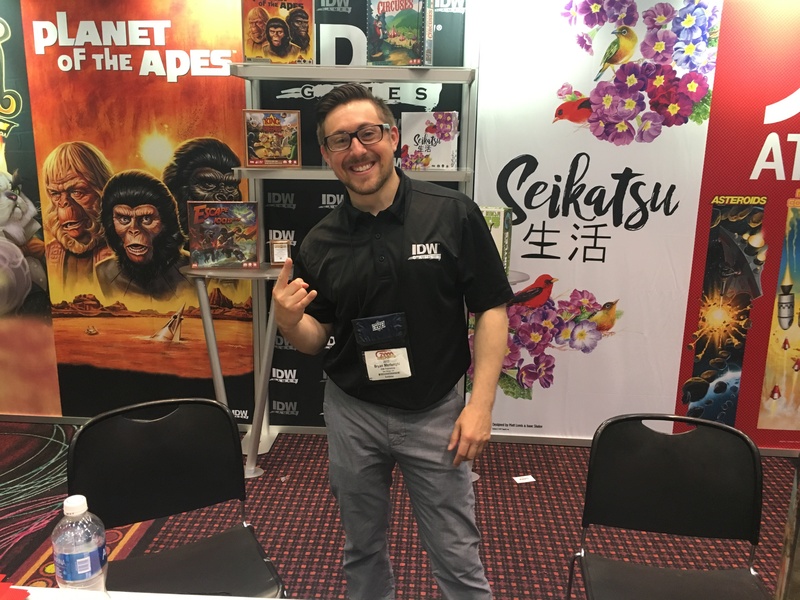 IDW Games Returns from GAMA! GAMA was an absolute blast! For any of who don’t know what GAMA is, it’s a trade show in Las Vegas, Nevada for retailers to come and see previews of all the 2017 products that will be launching this year. 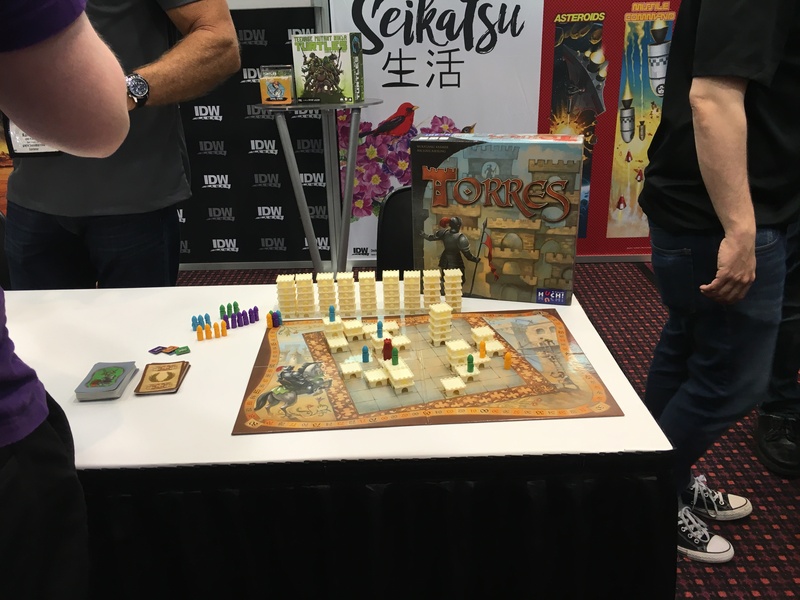 The Dice Tower and BoardGameGeek were there doing interviews, etc… it was incredible. We got to catch up with old friends, meet new friends, and talk games the entire week. In the spotlight were a number of IDW releases. We got a chance to showcase our upcoming Purrrlock Holmes: Furriarty’s Trail! This deduction game designed by Stephen Sauer had fans storming the booth demanding cat puns. BAD cat puns! And we delivered. Following that we highlighted the much talked about Planet of the Apes game coming from master designer Richard Launius. We spoke to Dice Tower about this cooperative adventure where players take on the roles of the multiple sides of the Colonel’s personality. Crash land, survive the apes, and find out the history of humanity before it’s too late. Seikatsu, a beautiful game of building Japanese zen gardens caught the camera’s eye as well. Coming to us via designers Isaac Shalev and Matt Loomis, the aesthetically pleasing planting game is filled with beautiful art featuring trees, foliage, exotic birds and koi fish. Game mechanics feature tile-placing / matchmaking. Finally, our major news had retailers and the media completely buzzing. 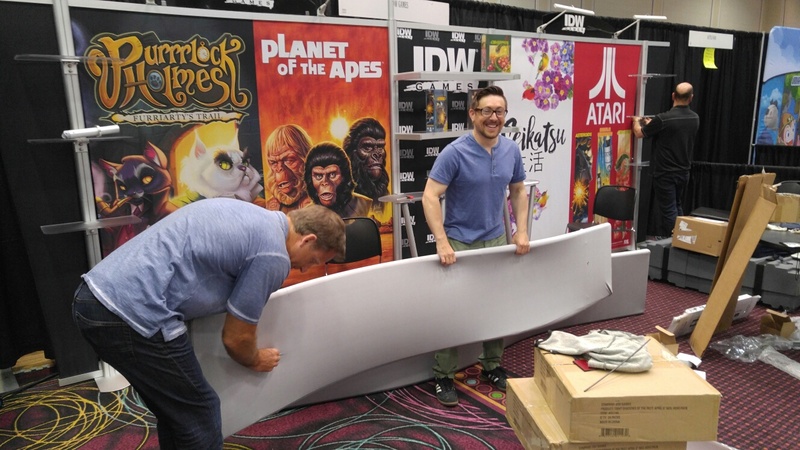 IDW Games announced an Atari® partnership. We showcased Centipede®, our first Atari 2600 classic title that we’re bringing to the marketplace in September 2017. Centipede® is lead designed by Jonathan Gilmore, co-designer of the smash hit Dead of Winter. The team underneath him is Nicole Kline and Anthony Amato. We announced gameplay details, featuring asymmetrical game-play with one player able to play as the centipede, and the others playing as the gnomes. In a four player game, you can get a cross-fire, which means not just top-down fighting, but also side-to-side. It’s going to be incredible, with amazing eye-catching components. Nostalgic collectors and Atari aficionados are geeking out HARD over this set of games. Look out for more news soon, and thanks for tuning in! 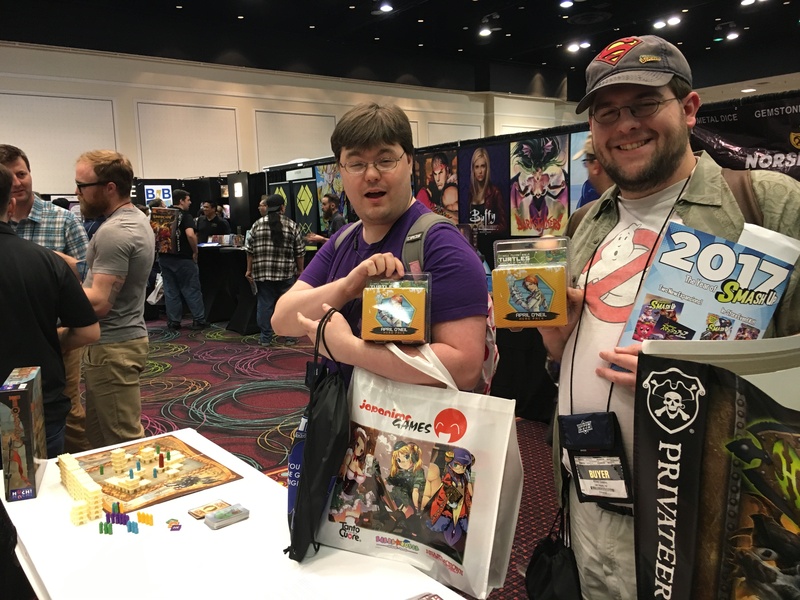 ← Tabletop Gaming News Picks up King of the Creepies!